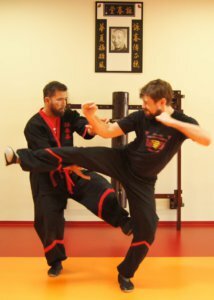 Last June we have conducted an interview for the only Czech martial arts magazine with sifu Chris Collins from Hong Kong. Here is the English version of the interview, hope you will all enjoy it! Instructor of martial arts Wing Tsun (Wing Chun) Brett Slansky, after 18 years of training under the guidance of leading European and American masters decided to leave all learned training programs and embarked on a journey to the cradle of Wing Tsun, Hong Kong. His goal was to learn the martial art of the famous Grandmaster Ip Man from the authentic teacher who had opened his eyes and showed the beauty and functionality of this system of Chinese boxing. He was lucky enough to meet master Chris Collins, who has been living in Hong Kong for over 18 years and learned from the masters of the largest organization in the world, Grandmaster Leung Ting and Grandmaster Cheng Chuen Fun. Chris Collins is a former member of the US Marine Corps and has dedicated mastering martial arts for many years. 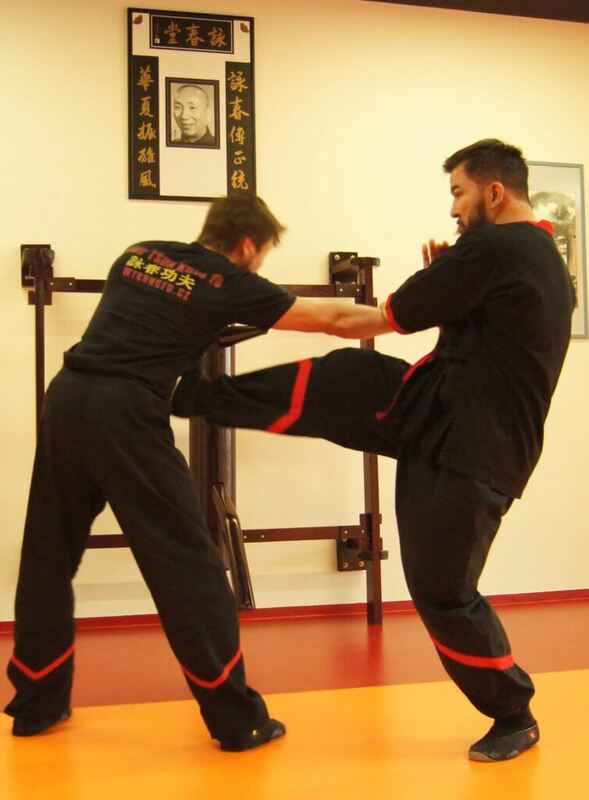 In addition to WT he is teaching in his school boxing ( a former competitive boxer), wrestling, Brazilian jiu-jitsu (Brown Belt) and is also the Hong Kong representative for filipino martial arts system as a Master of Pekiti Tirsia Kali. 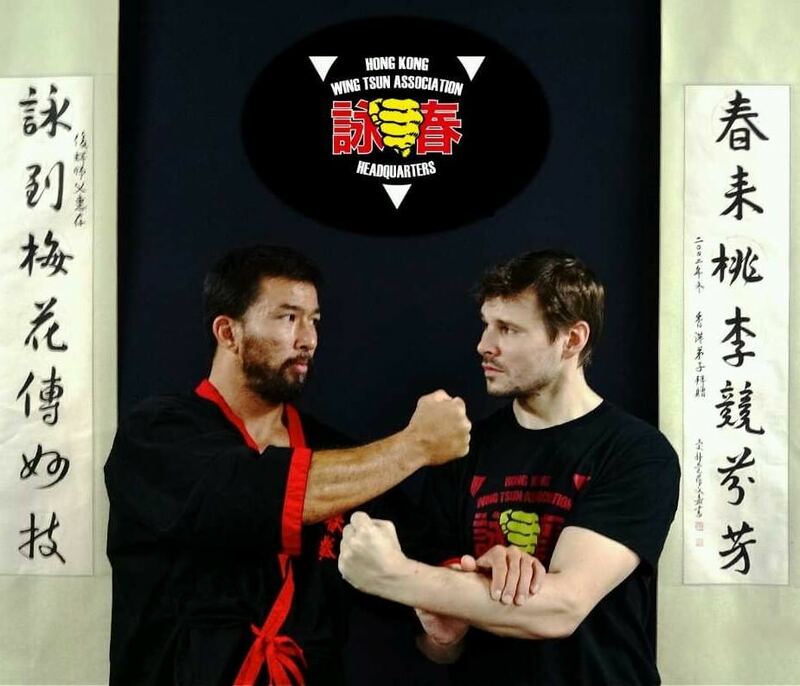 Because Chris Collins is a very versatile fighter connecting effectively his body, soul and mind, we decided to take advantage of the invitation of the Prague’s school teacher Brett Slansky to visit his recent seminar in Czech Republic. This seminar was attended by Czech and foreign students and instructors. Here we have some questions for Chris Collins that will certainly be of interest to our readers. How long have you been with the US Marine Corps, and what led you to that? I served 9 years in the USMC. Prior to joining the military I was playing college football on a full scholarship, when I decided I wanted to do more with my life and I felt that serving in my countries military was how I could best serve my country. 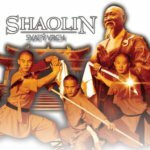 What attracted you to martial arts and what styles have you learned? I was always the guy who wanted to fight. We always had neighbourhood and school fights. It was a normal thing growing up. I started with boxing at a very early age. My dad wanted us to develop confidence and a strong mind set. From there it was wrestling. The physicality of grappling was intense. I realise early on that slamming your opponent on the ground and controlling him really destroyed his will to win. For several years I tried different styles of martial arts, but those two stayed with me for many years. Then I found Jiu Jitsu very late in life, while I was in the military. I loved how it was like a chess match. It’s so technical and all about flow. At this time I started to really feel like I was understanding hand to hand combat and I had such an open mind to learning everything I could. It was a very interesting time for me in the martial arts. As a boxer and grappler, what led you to Wing Chun? A very funny story. I was stationed in 29 Palms, California at the time and would often go to Yosemite National Park with some of my fellow Marines and hit the pads and grapple in the park. I noticed on several occasions an old man doing some sort of martial arts. I approached him to ask what he was doing. He replied, “ Chines Kung Fu. Wing Chun.” I spent a lot of time with him and was so amazed with how nimble he was. Very quick and relaxed, he could just play with my arms and do all sorts of things. I was very impressed. I initially thought that if I can become good at this, then all of my previously learnt skills will improve dramatically. I asked him where I should go to learn this. He said Hong Kong. I thought for many nights about our conversations and thought this would be an amazing addition to what I am already capable of. So began my journey to become the best martial artist I can be. So you went to Hong Kong. What was your experience of finding schools of Wing Chun and what impressed you about the hong kong masters of this art? I arrived to Hong Kong and immediately began my search. I had no idea where to start. 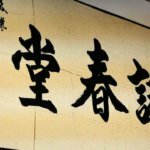 So I simply wrote down every school I could find teaching wing chun. I visited so many, but was very disappointed. Why you ask? Because I came from a sport background, whether it was team sports or combat sports. I understood body mechanics and how to move, what worked and what didn’t. When I went to these different schools, I am sure they are good in their own way. They were all very kind and decent people, but I needed to see something more. I had these visions of Bruce Lee and the old man I met in the park. They looked so much more graceful and fluid in their actions. I felt I wasted my time coming to Hong Kong. You finally find a school in IWTA world renowned Grandmaster Leung Ting and Grandmaster Cheng Chuen Fun, with whom you constantly keep a very friendly relationship. What was it that, as an experienced boxer, grappler and professional soldier attracted you about this school? Then I found the Leung Ting Gym on Nathan road. I had no previous knowledge of the IWTA prior to seeing the sign. As soon as I entered, I could see that this was very different. It had a particular flavour and when I watched it in action I could see the physics, principles and the geometry that are so often spoken of in text. Particularly in some of the students there, they were moving with swiftness and understood their body. Then my future Sifu, Master Cheng Chuen Fun entered the school. Not only did he blow my mind with his exceptional skill, he was also a truly pleasant person to be around. He personified the idea of being a kung fu man. Truly a mentor. To top it off, having the pleasure to train with Grandmaster Leung Ting on a regular basis was this world of education. Not just about how to apply the WingTsun system that he so ingeniously completed into a solid teaching structure, but he is a true scholar. His mind is always several steps ahead of you and he is clear in what he passes on to you. Always willing to share his knowledge. I liked that very much. Grandmaster Leung Ting has many WT instructors and schools around the world with the highest number of students in the world. Many European teachers at higher levels yet begun training under your leadership and they started even from the very beginning. Why do you think this is so? I just think its a different approach to teaching. In my Chinese culture, we are more formless in all of our endeavours. Its more about feeling and grasping the concepts or ideas of a particular aspect. Its not as organised as western thinking. 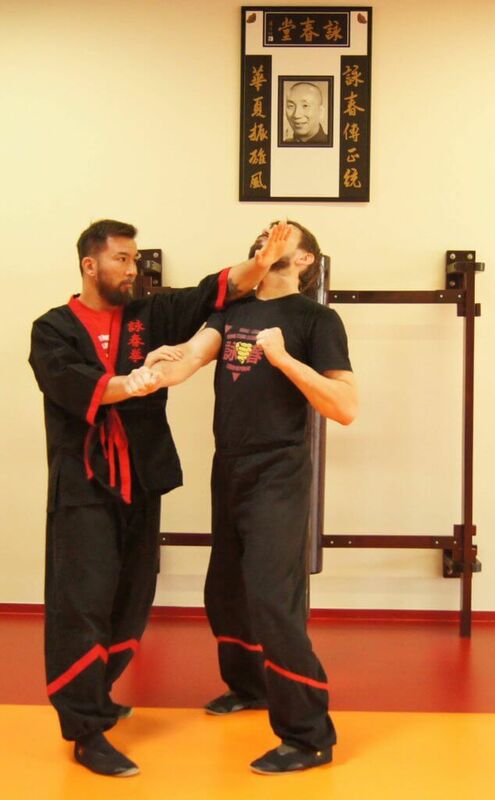 There are no programs and sets to memorise, which can also be good, but in my mind, not for the development of your own true capabilities as a wing tsun man. Because with sets and programs, you are not receiving concepts. You are not receiving principles that allow you to become formless and free. Where as in our Hong Kong methods the ideas are there to give you the freedom of exploration and experimentation. You should be able to answer the questions yourself after say 5-8 years, not always asking the same questions after 20 years. This is why I believe they have continued with me from the beginning. It is because I am able to answer those questions for them without even asking me. I develop it in their body, not their notebook. What is the future of the Hong Kong Wing Tsun Association here in Europe? I simply try my best to adhere to the scrolls on the walls at my former headquarter’s of the IWTA in Hong Kong. Develop your understanding of the Wing Tsun system and help to spread it around the world. Spread the Chinese heritage and allow it to flourish so that those who have the true desire to learn it will get the true answers. My heart was very sad when I met many of my European students that have trained for over 15-25 years and not have the same skills as myself. They have the same passion and desire to be great. So it is my goal to ensure that they do. Its simply giving them a clear path to achieve this. 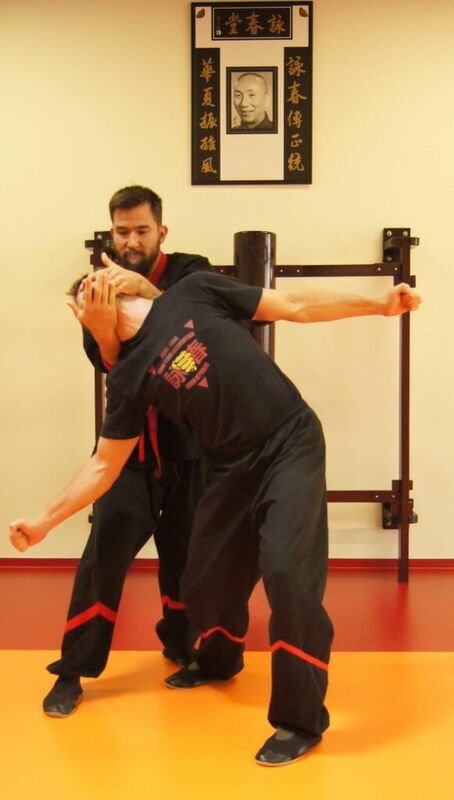 If anyone asked what is Wing Tsun, what would you say? 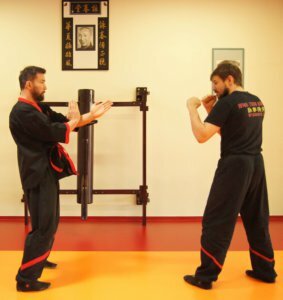 Wing Tsun is a Southern Chinese fighting system.It is a fighting system that allows you to understand your body so that you can properly apply principles of motion without any limitations. It is for those who have more of a scientific mind rather than a fighters mind. Which for me is very important. Because a fighter can always be a fighter, but we need the science behind us in order to improve on our weaknesses. Solid body mechanics is the key to being great. 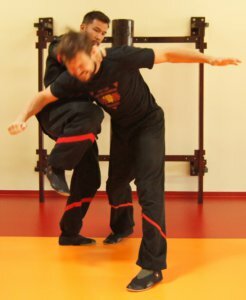 For whom is the Wing Tsun appropriate and why? Wing Tsun is good for everyone, from all walks of life. 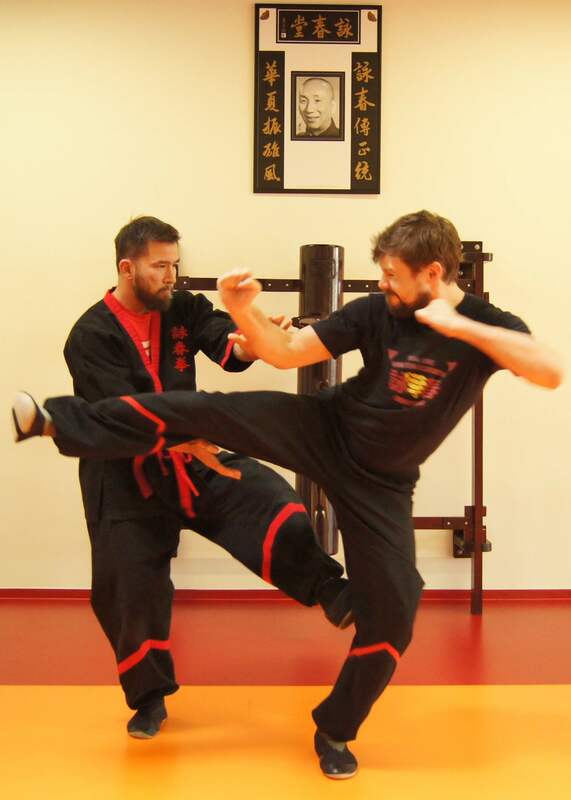 Whether you want to learn to fight or simply have a desire to learn Chinese Kung Fu as a hobby. If you have a mind that tries to understand how things work and like the ideas of Wing Tsun then I suggest you try it. Wing Tsun is one of the worlds largest practiced martial arts. There must be something to that! 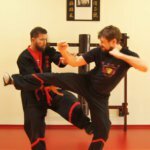 What should people who are interested in practicing Wing Tsun, need to know? Don’t expect to be fighting or sparring every class. Don’t expect to be jumping, rolling and kicking like Bruce Lee when you first start training. Wing Tsun will test your patience, test your resolve, but in the end it will reward you with unlimited potential as a martial artist and person. Last year you made the scenes in action films, and trained popular actors in martial arts. Can you tell us about what movies you were doing and with whom you have worked? I have always been fascinated with action movies. Especially Hong Kong action. I began with a couple movies back in the 90’s (Who am I?, GEN-X cops, Virtual Fighter). Then recently I was asked to help on some new movies. I am truly grateful to them. They were, (White Storm, Wolf Warriors, Helios, SPL2 and the upcoming Cold War 2). I star in some of them, but mostly I am behind the scenes as action choreographer and actor trainer. Not to mention another great movie coming out with my student as one of the lead actors in a Benny Chan and Sammo Hung directed movie. What future do you see in your career as a martial arts coach and working in the film industry? I truly hope I can to continue this for the res of my life. Everyday is a new day and a chance to improve my skills and understanding even more. It is truly my passion and honour to be fortunate enough to make my living through martial arts. My goal is to expand HKWTA around the world with my amazing students and to create some mind blowing action scenes in film. We see that you have a school full of students at a seminar here, so we will not further delay. Perhaps the last question. Are we going to see you again in the Czech Republic? Yes of course, I have so many lovely students here in Czech republic. I think CZ will make a very big noise in the Wing Tsun world with their skill, hard work and dedication. Besides, I really love Prague, amazing city and amazing people. Perfect. Thank you very much for the time you spent with us. We wish you much success and hope to see you soon. We very much enjoyed talking with you. Thank you.